Mr. Boston’s career has spanned the entire television engineering “food chain,” from camera lens to transmission tower, including satellite uplinks. He went from equipment maintenance technician to management positions at Scripps-Howard, SignaSys, and the Evers Group, and as Engineer-In-charge on production and KU trucks. Mr. Boston has managed and participated in successful television facility projects of every scale, including DTV transmitter installs and reception testing; transitioning analog plants to digital technology; installing microwave and C-band uplink facilities, and very large router retrofits. At Sony he was instrumental in developing test methods to determine how far digital signals are from their error cliff. 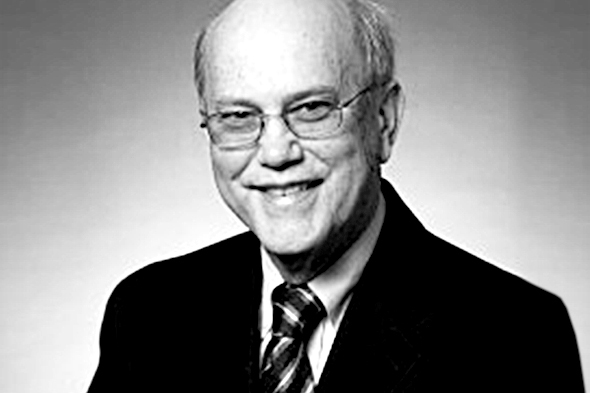 Jim has worked for a number of the pioneering television icons over the years, including Ampex, CMX, and Sony. Mr. Boston earned his B.S. degree in Electrical Engineering from Cleveland State University, where he won the Electrical Engineering Student Leadership award his senior year. 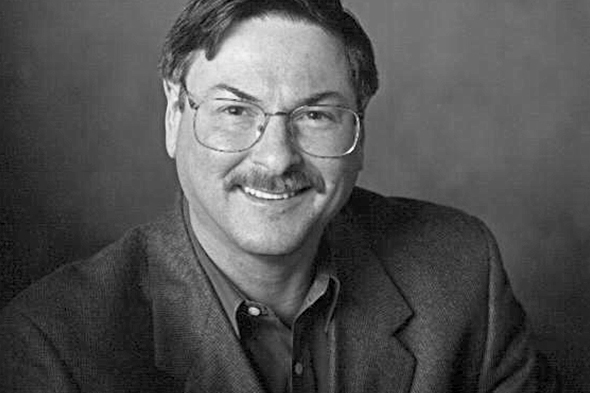 He has written extensively for Broadcast Engineering magazine and is the author of DTV Survival Guide (McGraw-Hill) and the first edition of Television on Wheels – The Story of Remote Television Production in conjunction with George Hoover. George has been with NEP since 1993, and has risen through the ranks from Director of Engineering to SVP of Engineering, assuming his current senior leadership role in 2007. 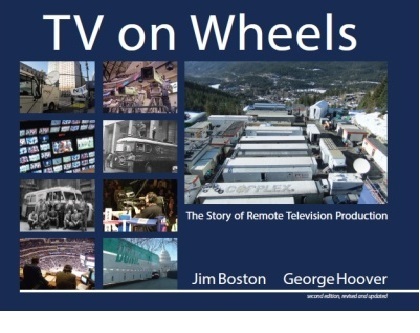 During his tenure, George has been an innovator both within NEP and across the entire industry – in fact, George has literally written the book on his field: TV on Wheels: The Story of Remote Television Production, which he wrote with Jim Boston in 2003. George’s career began in Florida, where he attended Florida State University. At WTVJ Miami, George got his start doing graphics, audio, and tape engineering; from there, George moved on to Florida Public Broadcasting, where he was Director of Engineering. Soon after tenure at RCA, he co-founded Video East, a mobile production company that covered events for the then-newly-formed ESPN. Immediately prior to joining NEP, George was General Manager of the Public Broadcasting Authority of the State of New Jersey. George’s extensive experience, exacting standards, and unparalleled technical engineering and design expertise have influenced virtually all areas of sports entertainments broadcasting that. George earned two Sports Emmys as Technical Supervisor for the Summer Olympics in Atlanta, one as a Technical Supervisor for ESPN NASCAR and a fourth as Producer of Phillip Morris Super Bands for PBS. In recognition of his achievements and contributions, Broadcasting & Cable recognized him as a visionary at their 2009 Technology Leadership Awards, and in 2011, he was inducted into the Sports Broadcasting Hall of Fame. The photos on the cover attest to how much has changed over the last 10 years. The photo on the front cover was taken inside Pittsburgh’s Mellon Arena. 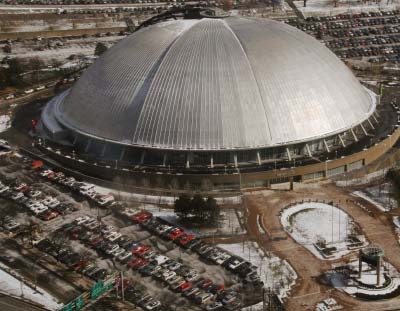 As venues now only seem to have a useful life of 30-50 years, built in 1961, it was torn down last year. The photo on the back is the television compound for the Indianapolis 500. A number of the trucks on the left side of the photo were owned by National Mobile Television (NMT), which was the largest remote production truck vendor at the time. That company today is gone. Like many industries the business model that keeps a company alive and vibrant continually changes. Any company that doesn’t keep pace disappears. 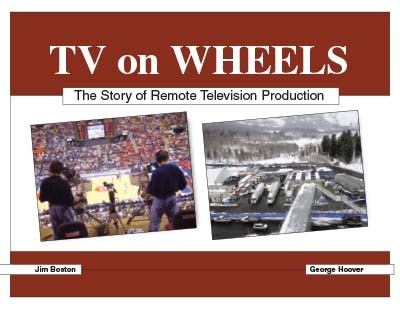 The Story of Remote Television Production by Jim Boston and George Hoover. 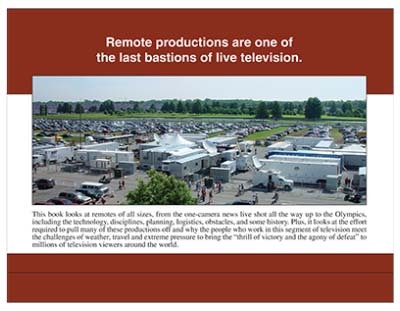 TV on Wheels, the 2nd edition of the definitive book about the Television Production Industry - On Location. This segment of the television industry is known as Remote TV in the U.S., and Outside Broadcasts in most of the rest of the world. The book covers the history, planning, logistics, operations and technology that compromises this industry. 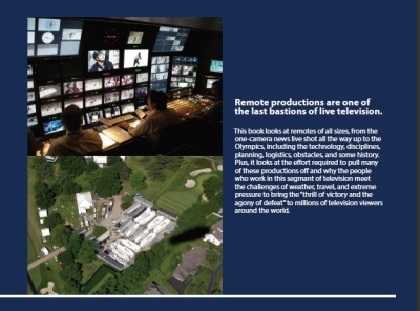 The book has over 1000 photos and graphics that provide a detailed tour through this segment of the television that is helping to define how media will operate in the future. HD, 4K, virtual graphics, and a myriad of other technologies grew to critical mass because of the pioneering that took place by television done on location. © Copyright 2013 by TV On Wheels. All Rights Reserved.